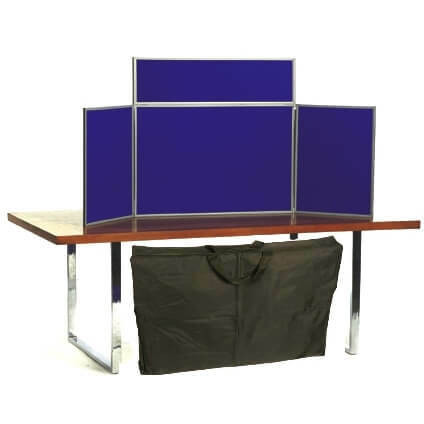 For fast despatch choose Medici Blue/New Grey – Grey frame and we can usually ship the product the same day your order is processed. All other colour combinations are made to order and typically despatch in 5 working days. 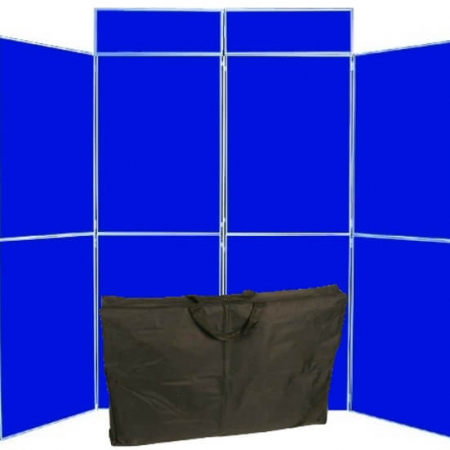 If you would like a colour not currently shown online, please get in touch as we have a large range of colours and fabrics available. 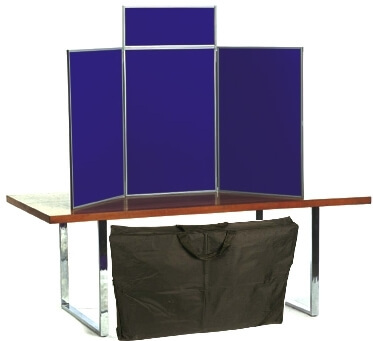 Senior tabletop display boards are a great way to display artwork, posters, school projects and other presentation material. 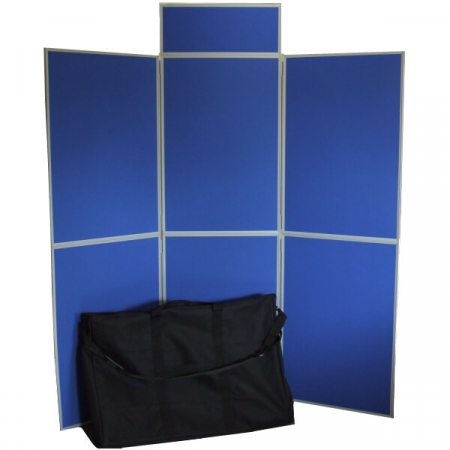 The hinged panels allow the boards to support themselves simply by folding in the outer panels. 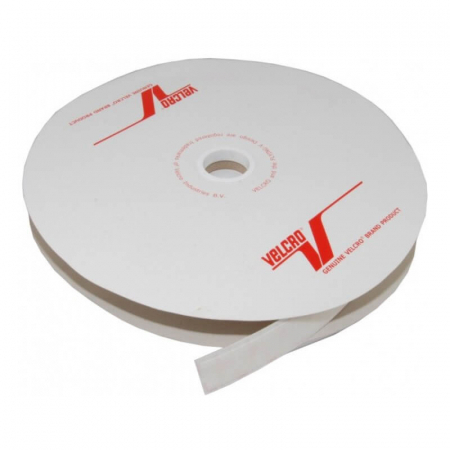 We also offer extras including hook velcro to allow you to attach your posters, photos etc. 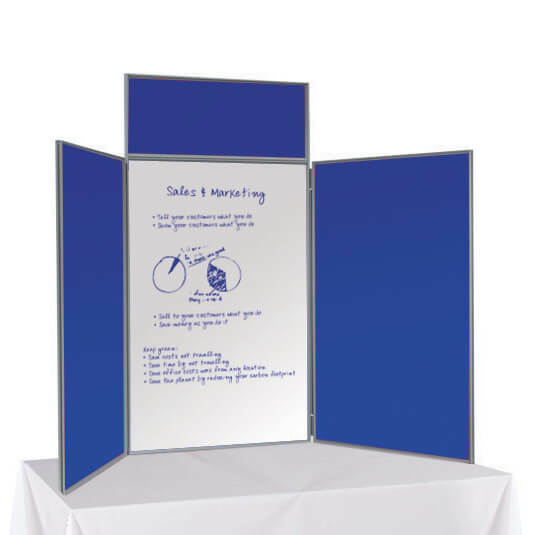 For more heavy duty folding display boards we also offer these with an aluminium frame. Please call us for more information.